Ranveer Singh's antics always keep him in limelight. 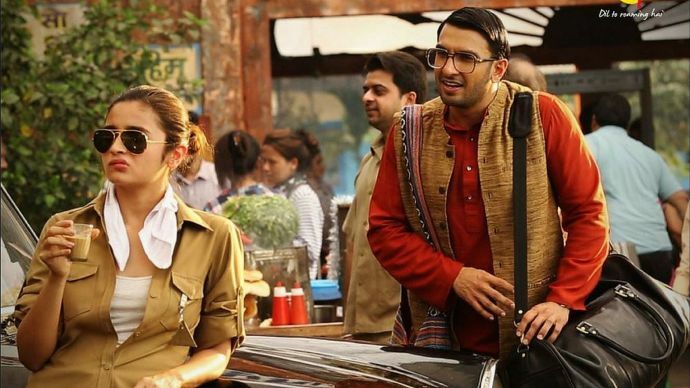 The recent news of Alia Bhatt and Ranveer Singh coming together for Zoya Akhtar's "Gully Boy" took Bollywood fans by storm. These two are the most loved actors of the industry famous for their funny acts in the 'Make my Trip' ads. The Enthusiasm King never shies away from expressing his love for one and all, and this time it is no different. His quirks always keep him in the limelight and this adds one more to his list. He took to Instagram to share his love and admiration for Alia in a video and it is ADORBS! Everybody loves @aliaabhatt ! Looking faarward ! We just can't wait to see them tickle our funny bones on screen!